An automatic transmission or automatic gearbox is a type of motor vehicle transmission which automatically changes gear ratios while the vehicle is moving thus reducing the driver’s effort to shift gears manually. 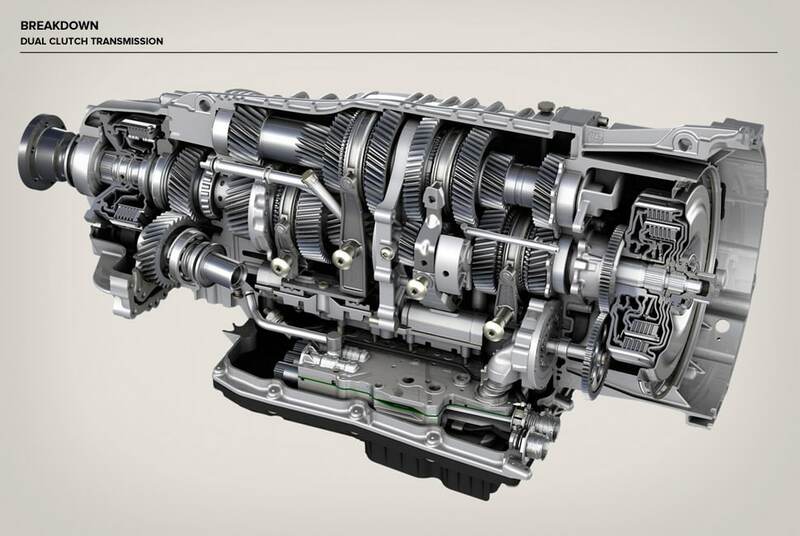 Like other transmission systems seen on other vehicles automatic transmission allows IC Engine to run at relatively high speed to provide a range of speed and torque outputs necessary for the travel of vehicle. The number of forward gear ratios is often expressed for MT as well. (for eg: 5 speed manual if 5 forward gears, 6 speed manual if 6 forward gears). We take a two similar models of car one with manual and other with automatic gearbox. If we enter the cabin of the automatic transmission car we will see mainly 2 changes. The changes are that there will be no clutch pedal and no gear shift. Once the transmission of the car is put to the Drive mode ( commonly known as D) , everything else is automatic. Automatic cars are good for peoples who are learning to drive, and for old peoples who may have problem in keeping in mind clutch and gear as it neglects the tension of changing gears and the absence of clutch pedal. The Automated Manual Transmission(AMT) is also referred to Semi-Automatic Transmission or as AMT is not fully automatic or clutch-less transmission/gearbox. It do have the Clutch. But it is the same manual transmission that eliminates the effort of the driver to change gear and changes gear. This kind of transmission unit’s mechanism involves the use of two key parts. A hydraulic actuator system and an electronic control unit (ECU) that engages and disengages the clutch while executing gear shifts. Basically it is just same as a kit that can be added to any regular manual transmission. That’s why car makers use it on some low cost cars because this type of auto gearbox is very cost effective and is relatively cheaper than the other auto transmission. Fuel efficiency is close to their manual sibling cars. Mileage is great over the other ones. Cheaper than conventional/fully automatic gearbox. This is the reason why the car makers are putting it in entry level cars and small cars. It is not best. The cons may be easily seen while driving on hills or on slope. For cost saving Hill Hold Assist or Auto release functions are not available in AMTs cars. No smoothness like a automatic cars should have. Jerky shifts if you drive aggressively. Not for enthusiasts who want a pure automatic car experience. 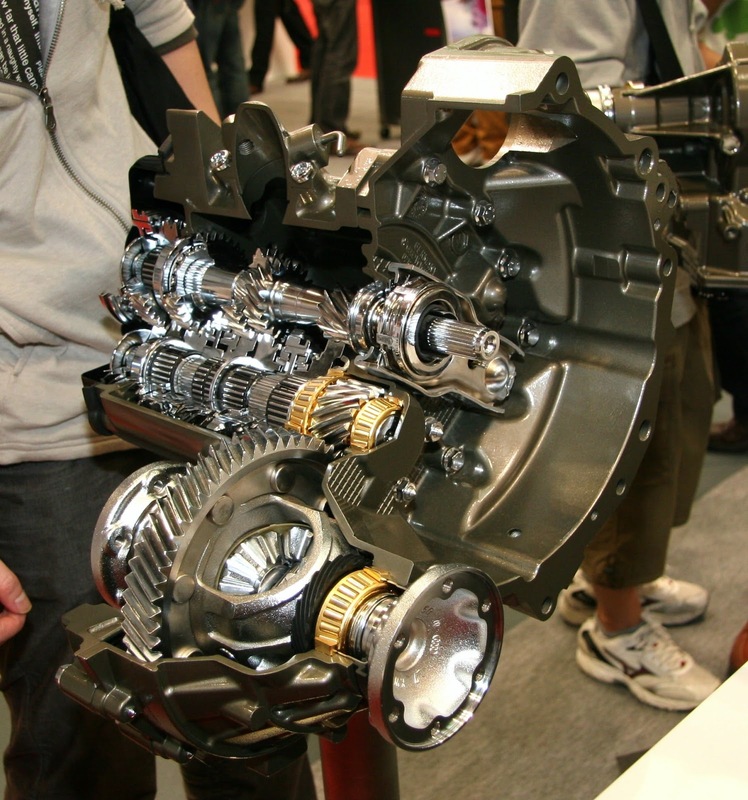 The Continuous Variable Transmission (CVT) is different from the AMTs. It is a transmission that can change seamlessly through an infinite number of effective gear ratios between maximum and minimum values. The CVT’s are clutch-less gearboxes. As said CVT does not require clutch but in some applications a centrifugal clutch is added to ease neutral stance. Therefore useful of idling or manually reversing while parking. CVT has no gears. It consists of a belt which rotates and slides between two tapered drums(just like that of wheat grinding machine’s motor belt).As you accelerate the vehicle, the belt starts rotating on the drums and sliding on the drums at the same time from one side to another thus having a varying slide all the time. This slide decides the driver to driven ratio of torque which further varies the speed of vehicle. It delivers a constant, step-less acceleration from a complete stop to cruising speed. Again with the ability it provides to set the operating point, engine can be run to provide the maximum fuel efficiency or maximum performance. Weight of the vehicle reduces. Since there is no repetitive engagement and disengagement of the power from the engine the efficiency of the engine is increased. There is an initial slip in the transmission belt which may effect the performance and life of the belt. There will be a speed limit. The cost of CVT is high as compared to AMTs. This is the reasons why car makers are not putting in entry level hatchbacks and small cars. The cost if transmission belt in this case high. A Dual Clutch Transmission (DCT) works on similar principles of an AMT. But a DCT gearbox, uses two clutches instead of one. One each for odd and even gear sets that makes it more efficient gearbox than an AMT. To simply put it a DCT gearbox is more like two manual gearboxes contained into one single housing. This works like so: one clutch has an odd number gear engaged, while the computer figures out which even number gear you will need next. It has the second clutch ready to engage that gear and simply switch clutches when the time is right. Like any standard automatic gearbox, a DCT unit also comes with a simple P,R,N,and D gear selector and no clutch pedal, shifting gears on its own, or can be manually controlled, via paddle shifters or a separate gate on the gear selector. 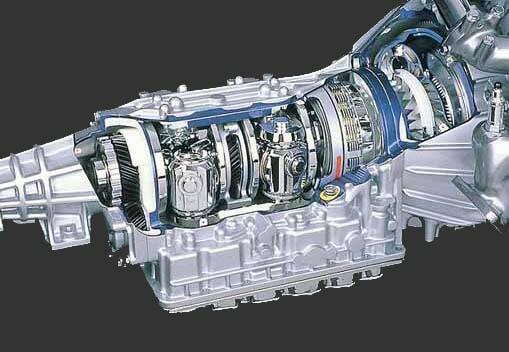 This type of transmission is not used on normal cars. It doesn’t means like that , it can be used on all cars but it is only used where performance is being sleeked. Even with automatic engagement and disengagement of clutch, drivers can tell computers when to take action with the help of paddles or gearshift. It provides smooth acceleration by avoiding torque shifts or gear shift shocks that are usually experienced in a car with manual transmission. Fuel economy can be improved dramatically by up to 10%. Can handle high torque demands of high performance cars. They can switch gears far faster than most drivers can hand shift. Complexity as compared to above ones. Fuel efficiency is lower as compared to other ones. Not as reliable as wear and tear is more in this application. 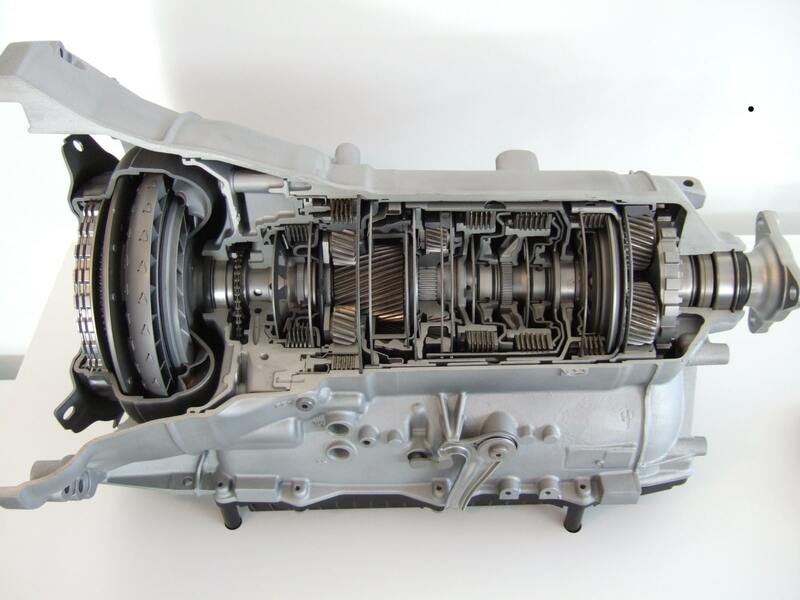 An Automatic Transmission also referred as AT / full auto gearbox is a completely automated gearbox that can self-change gear ratios as the vehicle moves, freeing the driver from having to shift gears manually. An automatic gearbox uses three main components – fluid/hydraulic coupling, planetary gears train and hydraulic controls. A fluid/hydraulic coupling function quite similar to what a clutch does in a manual gearbox, which changes gear by locking and unlocking a system of planetary gears. Torque Converter is a commonly known hydraulic coupling or fluid coupling used in number cars with powerful engines. The second important part of an automatic gearbox is Planetary Gears Train, a system that that provide the various gear ratios, altering the speed of rotation of the output shaft depending on which planetary gears are locked. The third important component used in an automatic gearbox is hydraulic control. It acts quite similar to a fluid coupling but it is typically a gear pump mounted between the torque converter and the planetary gear-set and controls various clutches and bands modifying the speed of the output depending on the vehicle’s running condition. Enthusiasts will appreciate this gearbox. This gearbox’s gives great driving pleasure than semi automatics and other ones. Fully automatic means reduced effort of driver and more features available to the driver to handle the car. Expensive gearbox. Not equipped with low price cars. Fully automatic gearbox means complexity.